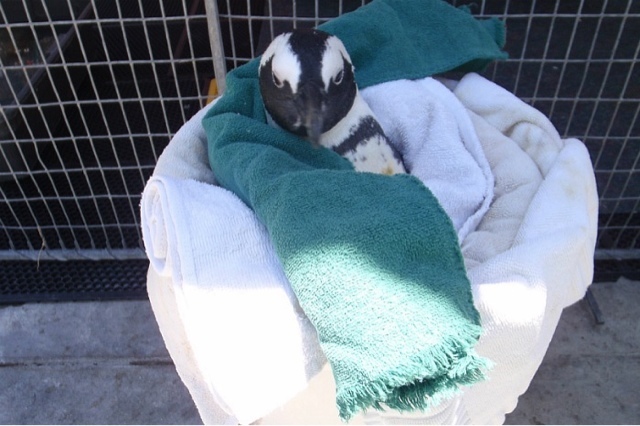 Over the past few days, I’ve had the opportunity to work in SANCCOB’s intensive care unit. Just as in human medicine, the ICU is where the most critical patients are cared for. Here the patients are closely monitored, many times given medications and fluids on a more regular basis and health indicators are constantly evaluated. 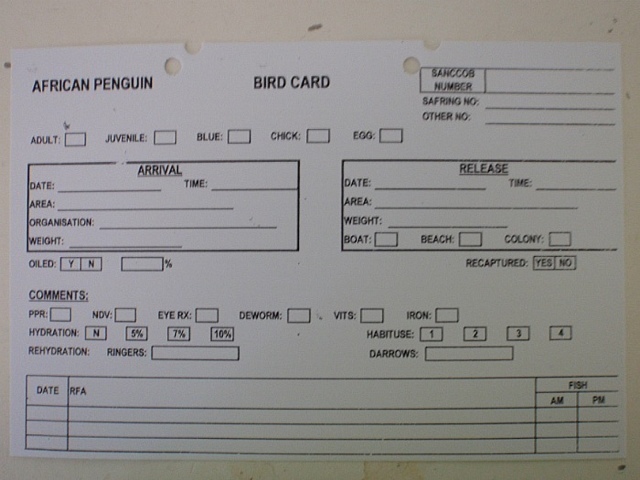 So what qualifies a patient for ICU care at SANCCOB? It differs for each individual. When a bird first comes to the center, they are given a health evaluation. Vital signs, physical condition and blood work are examined over the first few days. Medications may be prescribed and care plans can be set in motion. If a bird is thought to be “out of the woods” then they may join another group of birds outside of ICU. If not, they can remain in ICU until they are better. 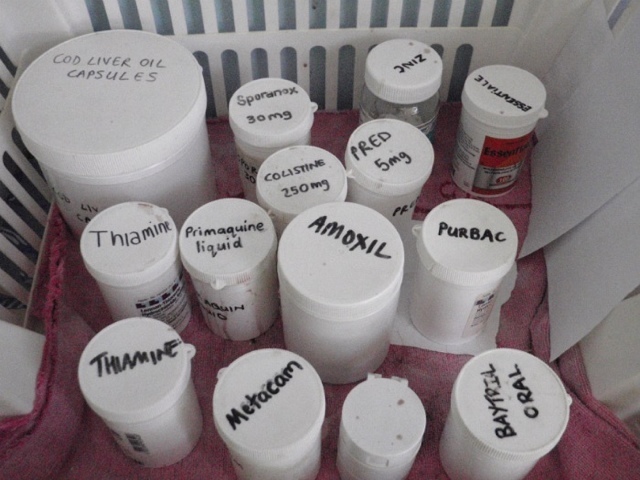 There are currently a number of birds under ICU’s care. 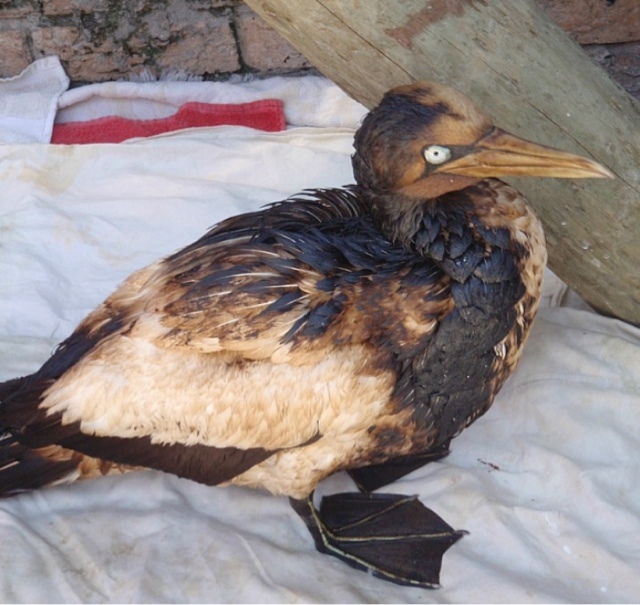 The oiled gannet is still here being stabilized before his feathers can be washed. However, he’s progressing well enough to spend some time outside in a prepared space. It’s been good to see him stretch out his wings and become more alert as time goes on. 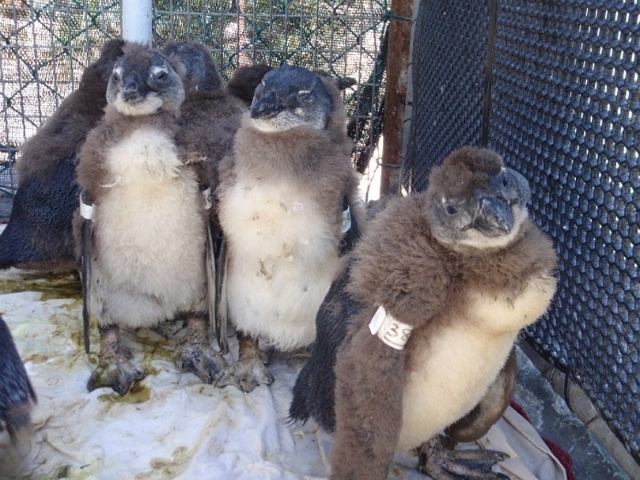 There are also a number of African penguins in ICU, ranging in age from chicks to adults. Many of the chicks are underweight, being abandoned by parents who couldn’t find enough food for themselves. To help them gain weight, they are given formula (those fishy milkshakes I’ve talked about before) as many as three times a day. 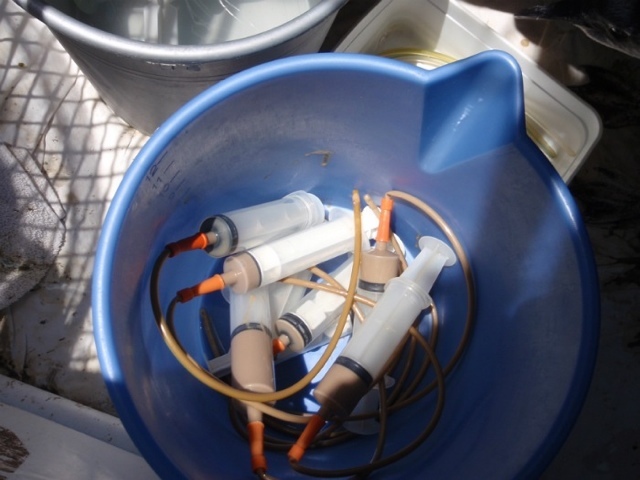 The formula is given to the chick through a tube that goes down their throat. 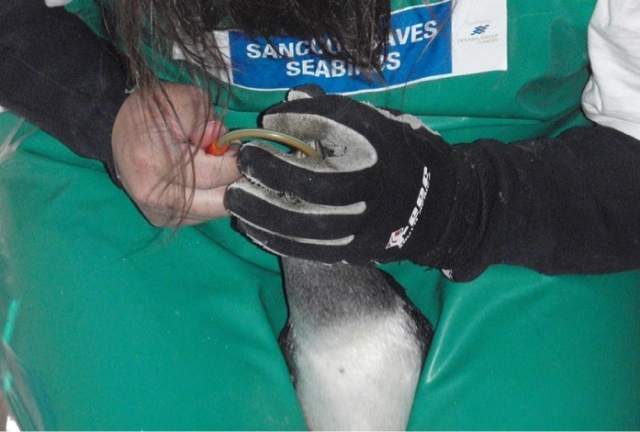 It takes a lot of training and practice but the experienced staff and volunteers make it look easy: tube goes in, formula gets delivered, and penguin gets a tummy full of goodness. Other patient issues include mobility and paralysis issues. 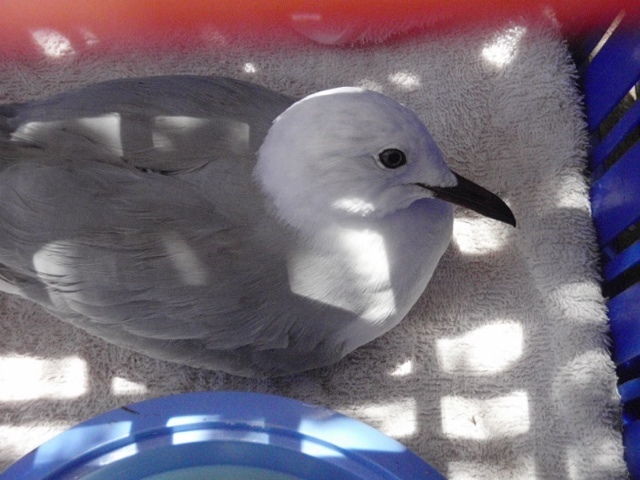 A Hartlaub’s gull is having problems flying and an African penguin has partial paralysis and is unable to stand normally. To help strengthen his muscles and to get him upright, the staff created a bucket and towel contraption to help with his therapy. The bird also gets physical therapy treatments—a few bicycle kicks and lunges are good for anyone’s health. 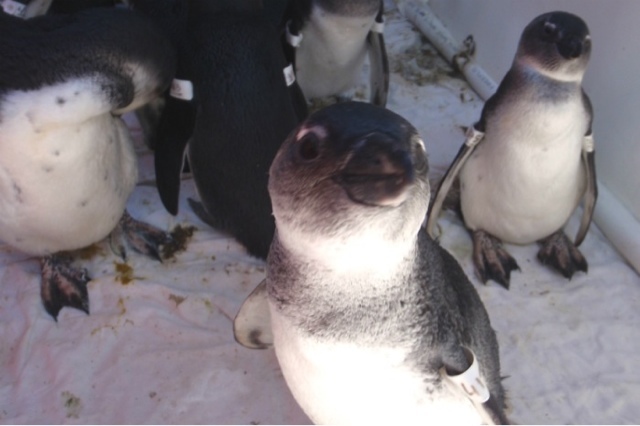 As cute as a picture of a penguin in a bucket can be, it‘s a tough job in ICU. The standard of care is excellent and sick birds are able to pull through. Just today they upgraded a number of patients out of ICU to other pens. However, it’s the nature of a rescue hospital that things can turn very quickly and though SANCCOB does everything they can, animals will pass away. It’s always hard when it happens but the dedicated SANCCOB crew knows there is work to be done. Life goes on…and with it hopes that other ICU patients will make it through. Very inspiring, Jo -- and the Gannet is looking better, thanks for tracking it for us! Thanks Pam! The gannet continues to improve and is spending more time outside. The SANCCOB crew may even consider washing him sooner than the they thought! Keep your fingers crossed!